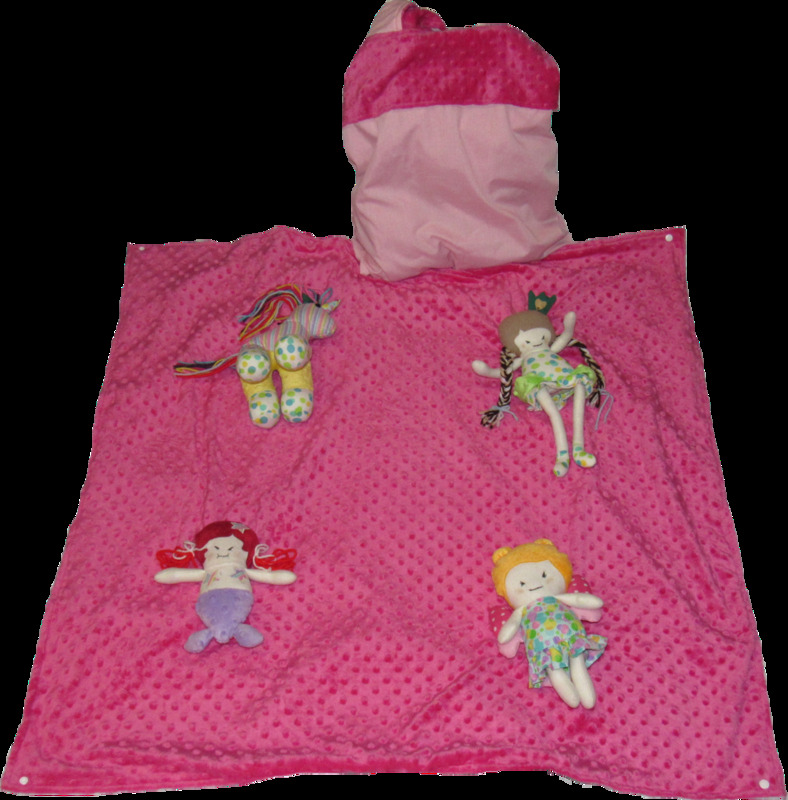 Dreams can come true for the 3 to 12 month baby girl with our Fairy Tale blanket on the go. A fairy, a mermaid, a princess, and a magical unicorn will transport you and your daughter to places that only you can imagine. Each doll has been made with colorful fabric and a sound maker to catch the attention of the baby. Blankets are a Fuchsia Minky fabric and pink cotton. Yarn is used for doll hair.